Here you’ll find sketches of miscellaneous scenes, including those in farmer’s markets and festivals. Started in October, I’ll add new sketches to this page through the end of November. All sketches are done in graphite, which in this case refers to very inexpensive mechanical pencils. Coloring, when present, is done through Photoshop. 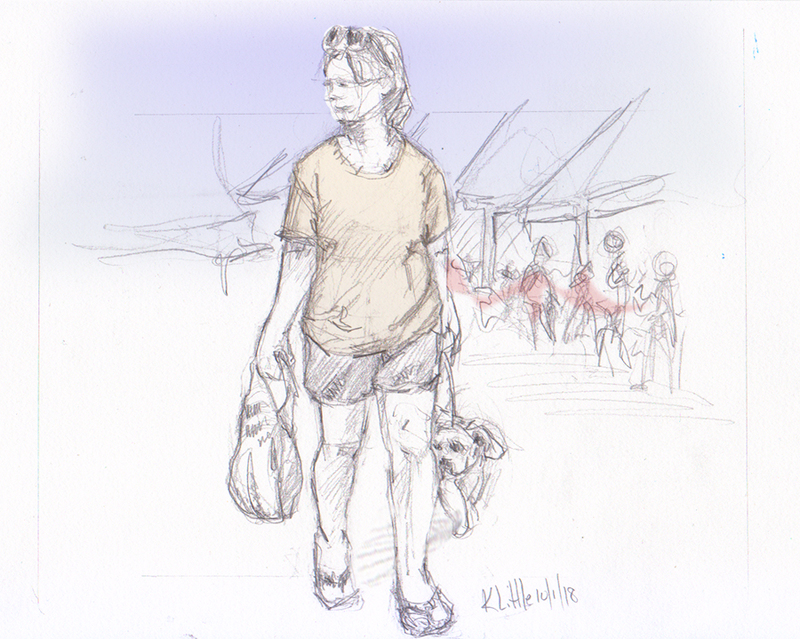 I enjoy sketching from reference, meaning photos or videos, because there is so much to learn from “stopping” fleeting movement, but when its nice and I’m out and about, I add some urban sketching to the mix. If you’d like a picture of your child sketched for free, just ask me, Karen, at Info@Littleviews.com.